Keeping a clean house at the onset of a new year is a fairly universal tradition, but attending to that task, for some people, requires a bit of extra motivation. If you’re not someone who finds yourself eager to tidy up in your free time, then sweeping the floor and scrubbing the counters feels like nothing more than what it really is: a chore. But when you have a supply of beautiful cleaning tools, even chores can start to feel a little more special. From dustpans to brooms to multipurpose sprays, there are plenty of nice-looking cleaning supplies that can easily inspire you to bring out your inner neat freak. Typical tools can look unsightly, making tidying up a wholly unpleasant experience, but these options make such a welcome addition to any interior that you might not even want to stow them away. 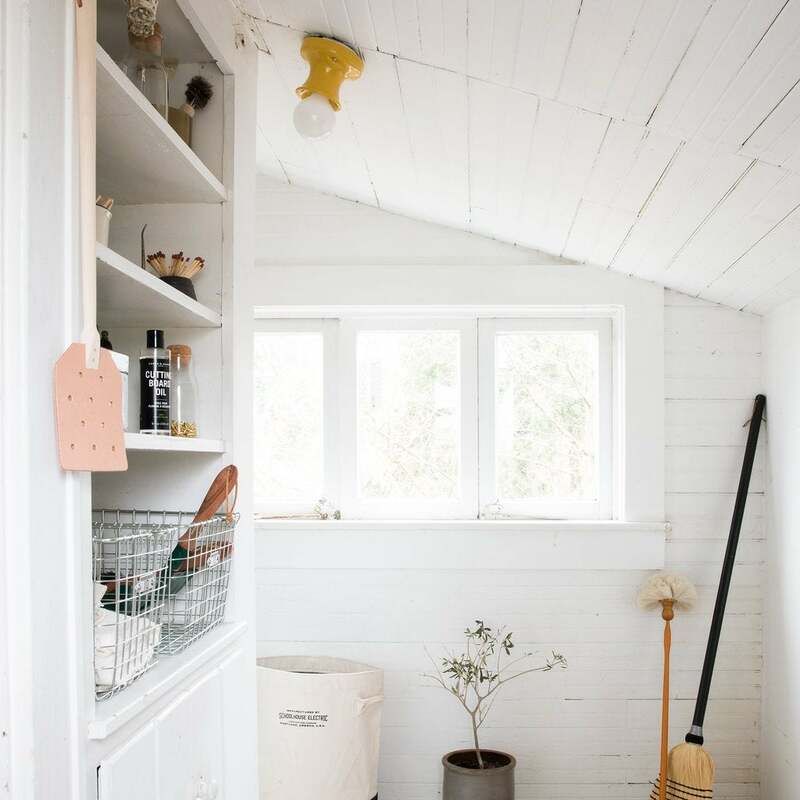 Whether you have a small space and don’t want your cleaning tools to detract from your design or you simply need some extra cleaning inspiration, these picks will help you experience the life-changing magic of tidying up firsthand. Marie Kondo would be proud. Custodian has transformed a centuries-old cleaning tool into a work of art, with its line of artisan-made brooms. The sheathed broom is handmade on a 1890s broom-maker, optimizing an old-school technique that guarantees a quality product. Even French cleaning supplies are romantic, as this vintage-inspired dustpan set proves. Keep it in a corner, where it will make a lovely, rustic room accent and a useful tool. When you need to clean a small surface area, a simple whisk broom will do. At just $30, these natural, corn husk brooms make a lovely housewarming gift too. If you’re looking for a glamorous touch to your cleaning routine, look no further than this brass dustpan and brush set. Bonus: It comes with a magnetic peg, so you can easily mount it to your walls. Thanks to its smart cylindrical handle, this Polish-designed dustpan makes it so that you’ll never misplace your sweeper brush again. With a head made out of rainbow wool yarn, this dry mop makes sweeping up dust and lint (and even pet hair!) a cinch. Offered in four different matte-finish hues, this toilet brush proves that one of the most unpleasant cleaning tools in your home can, in fact, be beautiful. This Scandi-made table brush comes in handy when you’re cleaning up after an ambitious baking project, craft, or dinner party. You’ll want to keep it within arm’s reach. Let’s face it: This handcrafted duster is far nicer than anything you’d find in your local drugstore, and with an adjustable head, it can easily reach any place that might have gone a little too long between dusting sessions. Shuro Tawashi are widely used to scrub vegetables and dishes, but this bigger-than-average version is perfect for cleaning showers and floors, without leaving scratches behind. Cut down on your use of paper towels with a reusable cloth that’s effective at picking up spills and looks good doing it. Not only are these natural cleaning products formulated to clean—they’re made with a little bit of magic. HausWitch’s in-house line, LightHaus, turns tidying up into a ritual with a surface cleaner that uplifts, a laundry detergent that calms, a floor cleaner that grounds, and more. The minimalist home goods from this startup have developed a cult following for a reason. These cleaning tools are plant-derived and effective, with a calming scent courtesy of essential oils. This concentrated cleaner has the power to fight both grease and bacteria. Since it’s sold in a concentrated form, one bottle will last a long time.